​​Riad Camilia offers unique events, multiplying each of your senses by giving them a special breath. In a city filled with Imaginary, these special events will complete the escape sensations of every traveler. Each trip will become a “unique and unforgettable experience” that will be experienced from the inside. 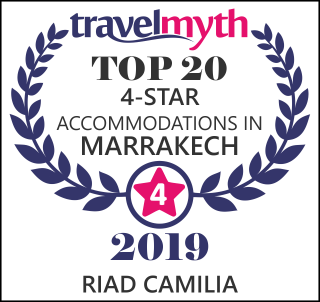 ​​Riad Camilia offers you “two trips” in your trip! ​​Framed by international experienced professionals, Riad Camilia offers weeks of meditation focused on the mental practice of developing the principle of attention to the level of “thought”. This practice makes it possible to meditate like a philosophical principle in order to deepen the senses and emotions of the body. In this approach it may be a way of realization of Self and Awakening. ​Meditation is at the heart of many spiritual or religious practices such as those of Buddhism, Islam, Hinduism, Jainism, Sikhism, Christianity, Taoism and Yoga. This attitude of tolerance and sharing are the values ​​that Riad Camilia wants to share with the travelers he welcomes. ​ Rich with an exceptional built heritage, Riad Camilia offers its travelers unusual courses to discover Marrakech. Private visits, unpublished meetings, unexpected discoveries will be witnesses. ​In the form of 4 or 6 days, let yourself be captivated by the oriental architecture and its inspirations. Let yourself be transported by its historical tales. Let yourself be penetrated by his imagination. Experience the unusual with “The Riad Camilia”! ​If you are interested in these proposals, we will be able to inform you and shape for you a personalized offer on the duration of the chosen formula.